For more information on how to add managers to your team, check out this article on managing your team on the People page. 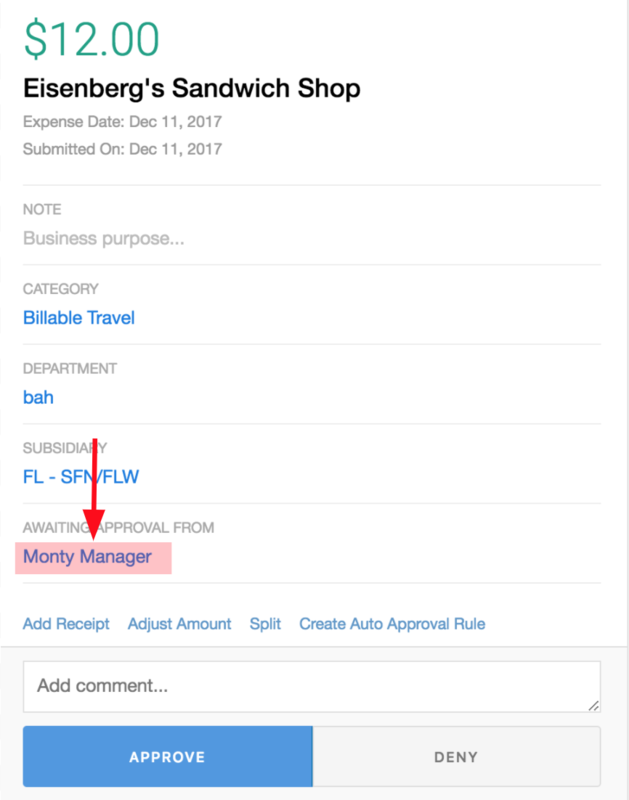 Admins have the option to add an additional layer to the approval flow by assigning each employee a manager in Abacus. Once you've assigned employees a manager, any expense they submit will first appear in the manager's inbox for approval. 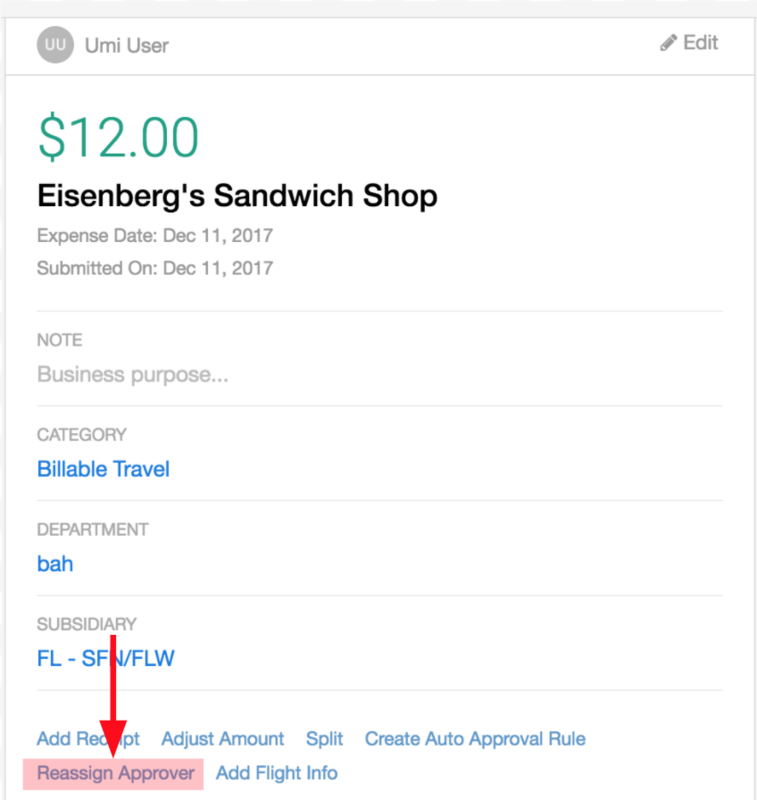 Once approved by the manager, the expenses will be sent to the Admin's inbox for final approval. Managers have the same option to reassign the manager on an individual expense. Rerouting the expense to a new manager will not permanently reassign the manager of an employee. 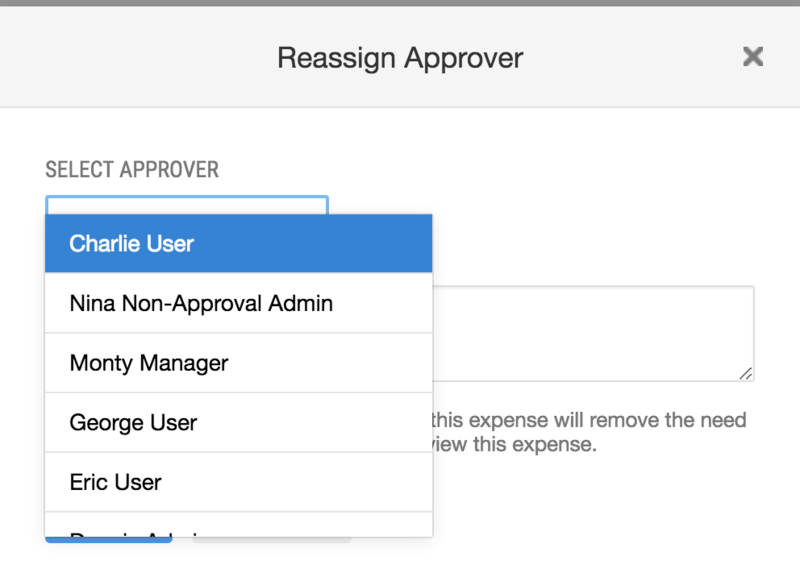 Reassigning a manager pushes the expense from a manager's inbox into someone else's inbox for first approval.